Bosch employees inspect wafers for flaws at the supplier's “clean plant” in Germany. REUTLINGEN, Germany -- To understand the future of the high-tech automobile, check out the $1.1 billion "clean plant" built here in 2010 by Robert Bosch GmbH. The plant produces pressure sensors, accelerometers and gyroscopes that feed data to the computer chips that control a vehicle's engine, stability control system, airbags and other key components. 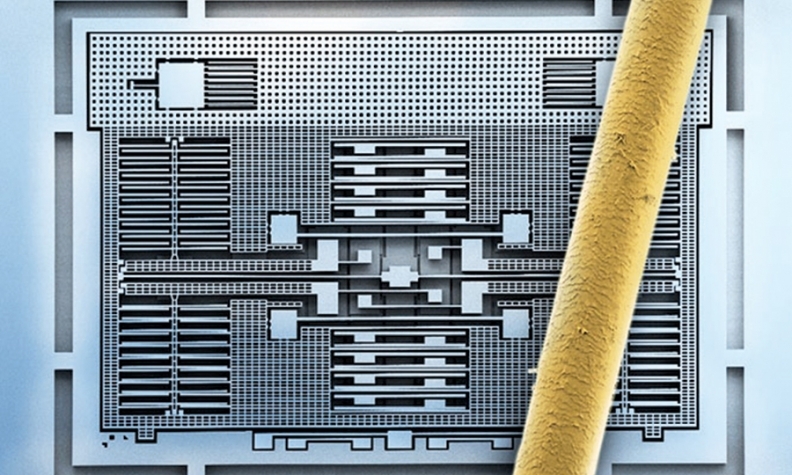 These devices, dubbed micro-electromechanical systems or MEMs, have proliferated as vehicles get smarter. A car or truck built today might have 50-plus MEMs sensors, including some no bigger than a square millimeter. Last year, Bosch sold enough of these sensors to generate sales of $790 million -- far ahead of competitors Sensata, Freescale and Denso, according to consultant IHS Automotive. Sensata Technologies Holding NV, a Dutch company, was second with sales of $268 million. Sensors and software help standard mechanical systems operate more efficiently -- a high priority for automakers. Global industry sales of sensors and related devices totaled $2.6 billion last year, and IHS expects revenue to rise steadily to $3.4 billion by 2021. Automakers are snapping up sensors for such hot technologies as gasoline direct injection, vacuum brake boosting and fuel vapor pressure regulators, according to IHS. While Bosch dominates this segment, one might question how the company can justify such a big investment for a relatively mature automotive product. The answer is smartphones -- lots and lots of smartphones. Bosch has produced billions of sensors for smartphones, video game consoles and tablets. Whenever you tilt your tablet or smartphone, an accelerometer senses the movement and the device orients the image vertically or horizontally. Half the smartphones produced worldwide carry Bosch sensors, according to the company. That business "gives us advantages in terms of economies of scale," said Frank Schaefer, Bosch's chief of product management for automotive MEMs. The market for consumer devices "is a very dynamic market," Schaefer notes, "and you need new technology every second year." In May, Bosch outlined its market strategy for a group of journalists that toured the sensor plant here. The plant is costly in part because it requires extraordinary measures to eliminate dust and vibration. To eliminate vibrations from nearby road traffic, Bosch constructed a building within a building, with outer walls that are structurally separate from the inner rooms. Filters scrub the air clean of dust, and the facility's 800 employees clad themselves in lab coats and pass through electronic "sniffers" before going inside. An acceleration sensor with a human hair lying on it is seen under a microscope. 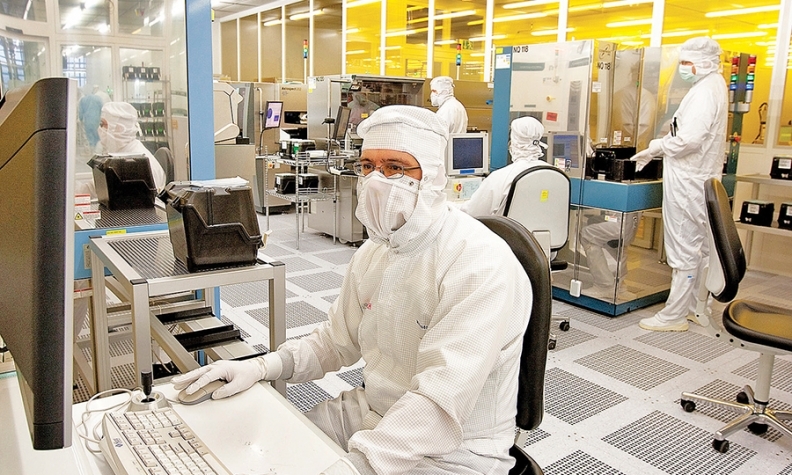 It takes about six weeks to produce the 8-inch silicon wafers that constitute the sensors' raw material. To accommodate the lengthy gestation of these wafers, the plant operates 24 hours a day, seven days a week. Given the rigors of production, it's no surprise that the sensor industry is highly centralized. According to IHS, the top 10 suppliers accounted for 78 percent of market volume last year. At the moment, it doesn't seem likely that an upstart will break into this club. A mere automotive supplier couldn't afford the necessary investment.